GONRA, did you trim yours down to reloading length? Mine are just a hair long, in the 1.137-1.134 range. They are also demonstrably narrower than the factory brass by around .003". The factory measured in the .312-.3135" range while EA brass is .309. Every single one of them was exactly .309, I might add. No variation. All measurements were taken from the base of shell casing, just before the head. I will try them at 65% of my normal load, which would be 4 grains of 3N38 on a 40 grain Nosler ballistic tip. I may try up to 4.3 as well. Let me know when you have chrono readings. I'm interested to see your velocity in EA brass vs. factory. GONRA just loaded em up. Didn't measure anything - yet. 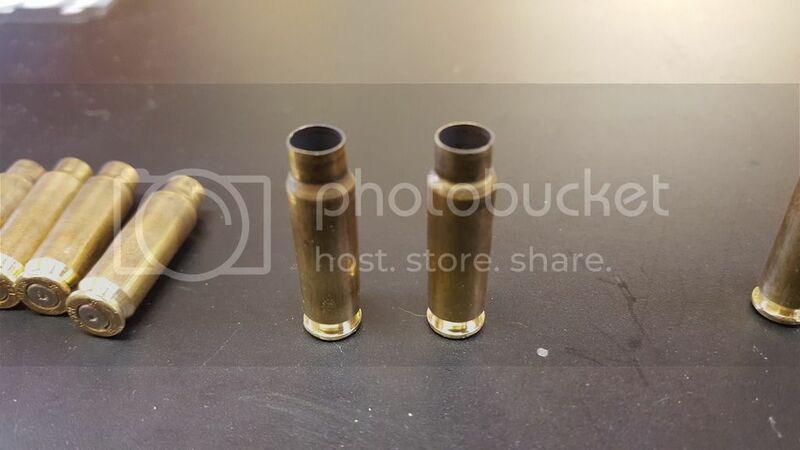 (Using FN brass, my SMALL BASE RCBS dies resized exactly to Factory Sample cartridge diameter specs. Remember, use a MICROMETER for diameters, electronic caliper is OK for LENGTHS. local club range is Really Crowded these days. Will be quite a while before I have more data. 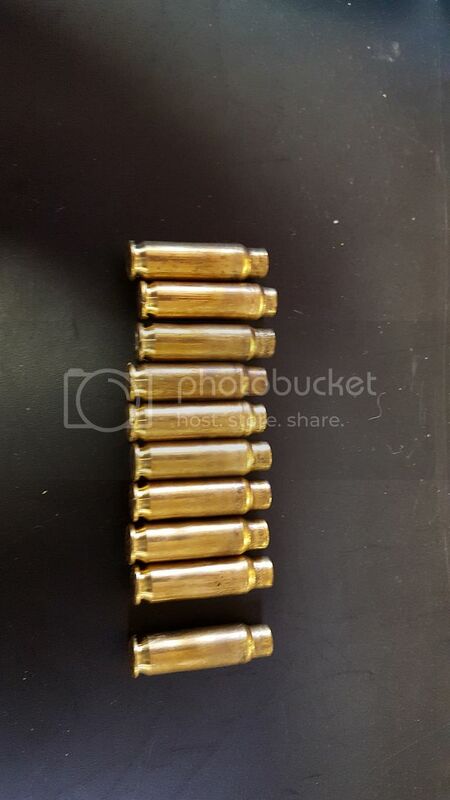 And it should be common sense this is why the brass manufacture is always stated for re loads. Little bit off topic, but Jay, did you ever hear back from RCBS about the shell holder? Not sure wot the shell holder issue is, but RCBS #45 verked Just Fine for GONRA's EA 07 brass priming and loading. 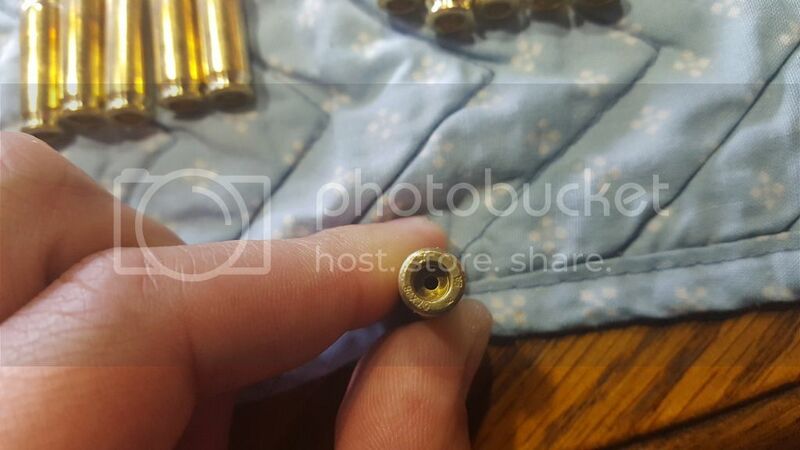 Traditional FN brass FIRED MT's weigh nominal 60 grains. New EA 07 brass FIRED MT's weigh nominal 75 grains. especially the piles of 5.7x28mm FN brass littering most ranges. RCBS refuses to sell the parts needed to use their old style plates and allow customers to swap back and forth as needed. They stated if your brass is slipping in their new universal holder to call them. Brass arrived fine. Looks good with the EA stamp. Brass after firing. Most have very little shoulder movement. 2 have normal shoulder movement. 2 with normal shoulder movement. I had to ditch my Lee resizing die. I tried it on one virgin case and it cracked the neck. Went to lyman and it worked fine. what's up with the ring around the shoulder? Buffman wrote: what's up with the ring around the shoulder? 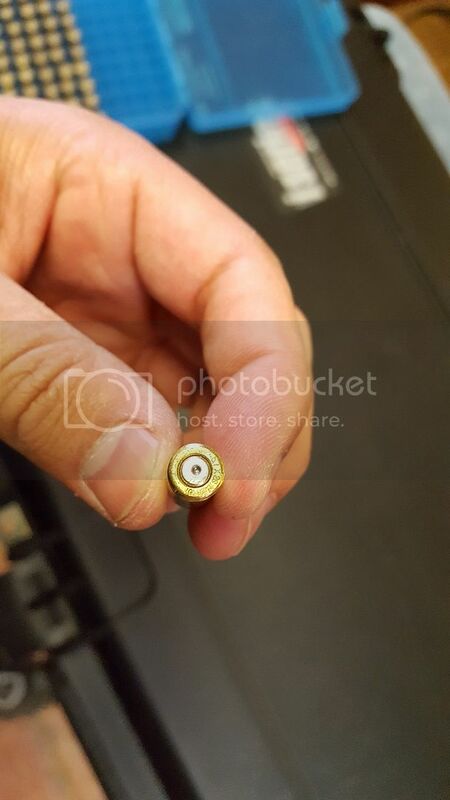 It's where the shoulder was pushed forward, but it did not expand to the diameter of the rest of the cartridge, so there are almost two separate shoulders there. That's what the ring is. 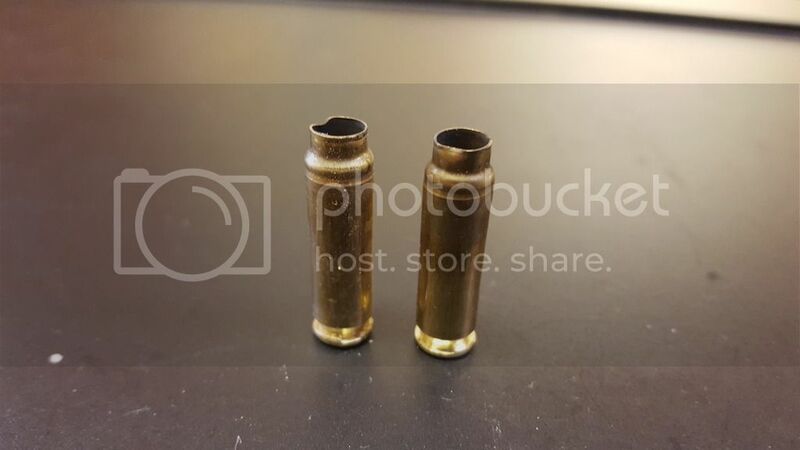 Were these fired from the FsN or the PS90? I may have missed this answer previously, but is this brass annealed? Of course, all new brass has to be. Jay, any chance this will be in stock soon? Thanks. It is now in our re loading package, more coming soon though. How do you recommend cleaning the EA brass to protect the coating? GONRA sez - NOW we need EA's T6B boolits for reloading! Are these gonna be available? Clean same as FN brass. Simple green mix etc. When we can keep up with demand for loaded ammo we will sell PFP bullets again . Or heard of Grantness since 2016?